A career in lights both on and off stage – here is a timeline of Noël Coward’s significant life moments. 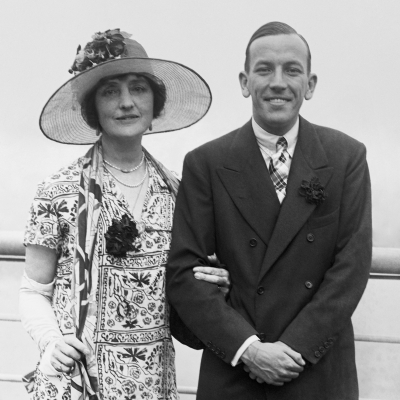 1899 – 16 December, Noël Peirce Coward is born in Teddington, Middlesex in South West London. He is the eldest surviving son of Arthur and Violet. He is, according to himself, a ‘brazen, odious little prodigy’, born into circumstances of refined suburban poverty. 1907 – Coward’s first public appearances in school and community concerts. 1911 – First professional appearance as Prince Mussel in The Goldfish at the Little Theatre. Revived in same year at Crystal Palace and Royal Court Theatre. 1915 – Coward is admitted to the sanatorium for tuberculosis. 1918 – Coward is called up for the army, but medically discharged after nine months. Writes unpublished novels Cats and Dogs and the unfinished Cherry Pan. 1920 – Coward stars as Rafe in a production of The Knight of the Burning Pestle, which transferred to the West End with Birmingham Repertory Theatre. 1923 – Plays Sholto Brent in The Young Idea at the Savoy and the juvenile lead in a musical review for which he wrote the book, music and lyrics: London Calling! 1924 – Writes, directs and stars as Nicky Lancaster in The Vortex, produced at the Everyman, which then transfers to the Royalty Theatre. Noël Coward with his co-star English actress Lilian Braithwaite in his play The Vortex circa 1924. 1925 – The Vortex moves to the Comedy Theatre. Noël becomes established as a social and theatrical celebrity. 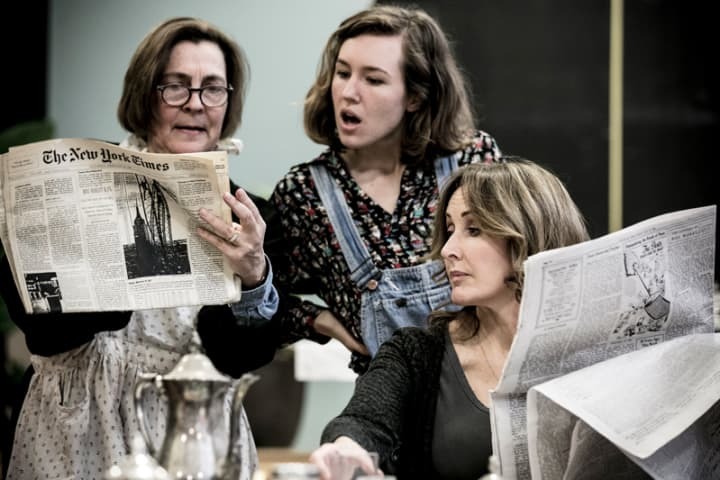 Writes the musical revue, On With the Dance, with a London opening in the spring followed by Fallen Angels and Hay Fever (which Marie Tempest at first refused to do, feeling it was ‘too light and plotless and generally lacking in action’). 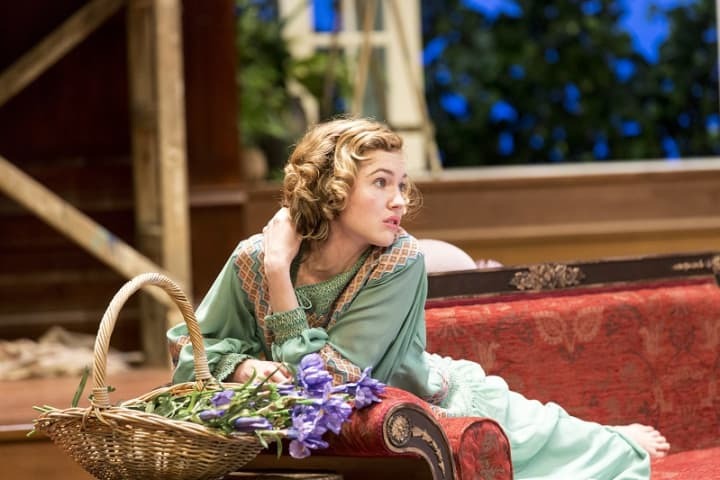 Hay Fever and Easy Virtue are produced in New York. Writes silent screen titles for Gainsborough Films. 1926 – Tours USA in The Vortex. This Was a Man is refused a licence by Lord Chamberlain in the UK but is produced in New York, Berlin and Paris. Easy Virtue, The Queen Was in the Parlour and The Rat Trap are produced in London. 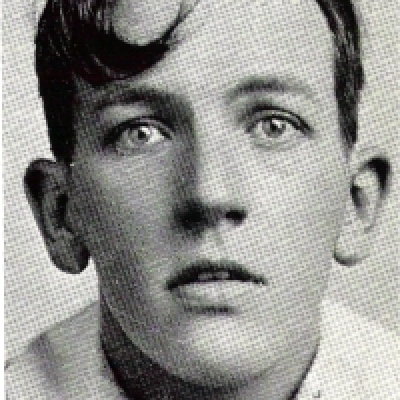 Coward plays Lewis Dodd in The Constant Nymph, directed by Basil Dean. Writes Semi-Monde and The Marquise. Coward also buys Goldenhurst Farm in the village of Aldington, Kent, as his country home. Sails for Hong Kong on holiday but the trip is halted in Honolulu by a nervous breakdown. 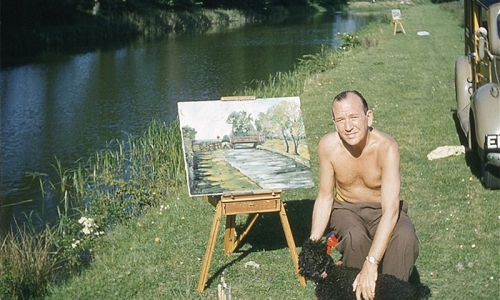 Noël Coward painting at his country home Goldenhurst Farm circa 1960s. 1927 – The Marquise opens in London while Coward is still in Hawaii and The Marquise and Fallen Angels is produced in New York. Finishes writing Home Chat. Sirroco is produced in London. Easy Virtue the film (directed by Alfred Hitchcock) is released. 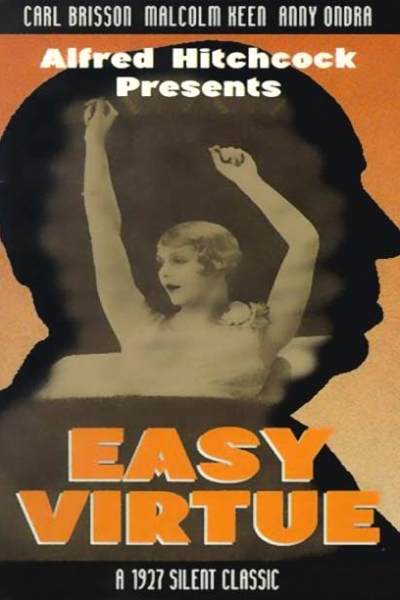 Easy Virtue film poster, 1927. 1928 – Coward plays Clark Storey in The Second Man. Gainsborough Films productions of The Queen Was in the Parlour and The Vortex (starring Ivor Novello) are released. 1929 – Plays in This Year of Grace! (USA) until spring. Writes and directs Bitter-Sweet in London and New York. Sets off on travelling holiday in the Far East. 1930 – On his travels, Coward writes Private Lives and the song Mad Dogs and Englishmen, the latter on the road from Hanoi to Saigon. On voyage home, he writes Post-Mortem. Directs and plays Elyot Chase in Private Lives, London, alongside Gertrude Lawrence, Laurence Olivier and Adrianne Allen. 1931 – Plays Elyot Chase in New York production of Private Lives with Gertrude. Writes and directs Cavalcade in London. A film version of Private Lives is produced by MGM. Sets off on trip to South America. Promotional photograph of Gertrude Lawrence and Noël Coward in the Broadway production of Private Lives, March 1931. 1937 – Releases first autobiography Present Indicative. 1939 – Directs New York production of Set to Music. Visits Soviet Union and Scandinavia. 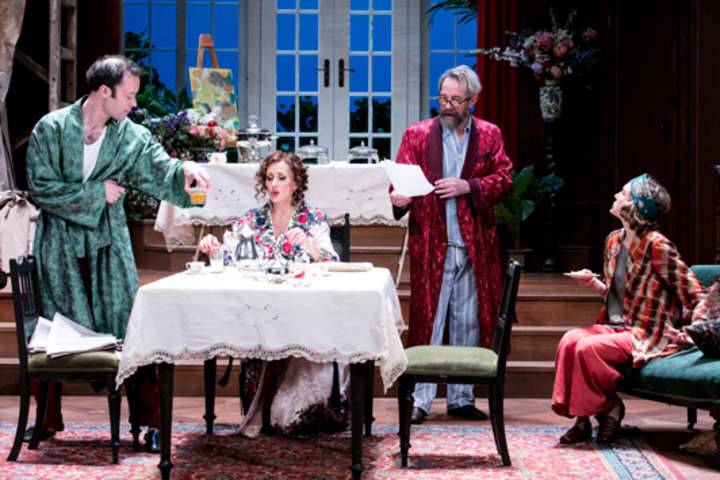 Writes Present Laughter and This Happy Breed; rehearsals are stopped by declaration of war. Writes the revue All Clear in London. Coward is appointed to head Bureau of Propaganda in Paris to liaise with French Ministry of Information, headed by Jean Giraudoux and Andre Maurois. This posting prompts speculative attacks in the press, prevented by wartime secrecy from getting a clear statement of the exact nature of his work. Troop concert in Arras with Maurice Chevalier. To Step Aside, a short story collection, is published. 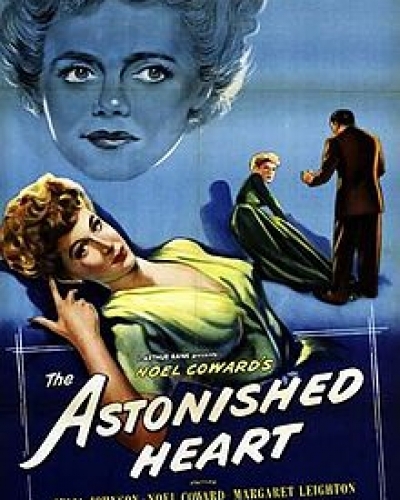 1949 – Writes screenplay and stars as Christian Faber in film of The Astonished Heart. Writes Ace of Clubs and Home and Colonial (produced as Island Fling in USA and South Sea Bubble in UK). Film poster for The Astonished Heart, 1949. 1950 – Writes and directs Ace of Clubs, London. 1953 – Completes second volume of autobiography: Future Indefinite. Coward plays King Magnus in Shaw’s The Apple Cart. Cabaret at Café de Paris, again ‘a triumphant success’. Writes After the Ball. 1954 – After the Ball is produced, UK. Coward’s mother, Violet dies in July. September, cabaret season at Café de Paris. November, Royal Command Performance, London Palladium. 1960 – Writes Waiting in the Wings – produced in Eire and UK (Duke of York’s, London). Pomp and Circumstance (novel) is published in London and New York. 1961 – Writes and directs American production of Sail Away starring Elaine Stritch. Waiting in the Wings is published in New York. 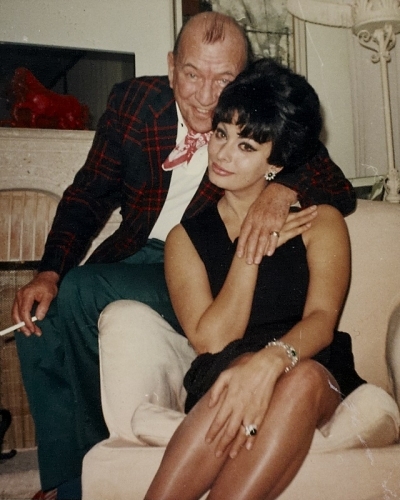 Noël Coward with Sophia Loren in Les Avants, Switzerland December 1964. 1967 – Plays Caesar in TV musical version of Androcles and the Lion (score by Richard Rodgers), New York. Lorn Loraine, Coward’s manager and friend for many years, dies in London. Works on new volume of autobiography: Past Conditional. Bon Voyage (short story collection) is published. 1968 – Plays Mr. Bridger, the criminal mastermind, in The Italian Job. 1970 – Coward is awarded knighthood in New Year’s Honours List. 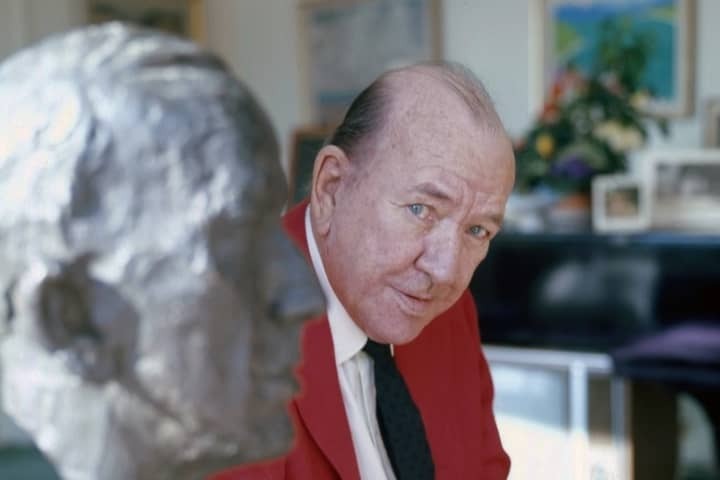 Sir Noël Coward with a sculpture of his bust by Allan Warren, in his sitting room in Les Avants Switzerland 1972. 1971 – Coward wins a Tony Award for his ‘Distinguished Achievement in the Theatre’. 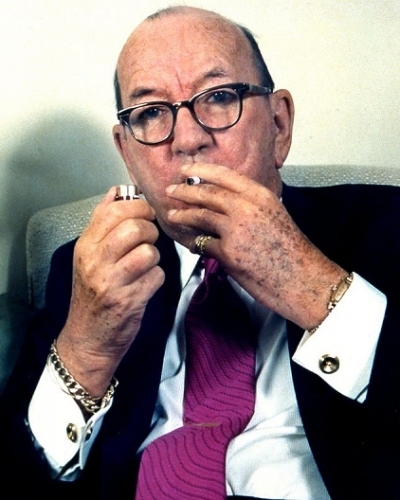 A portrait of Sir Noël Coward in glasses by Allan Warren, circa 1970. 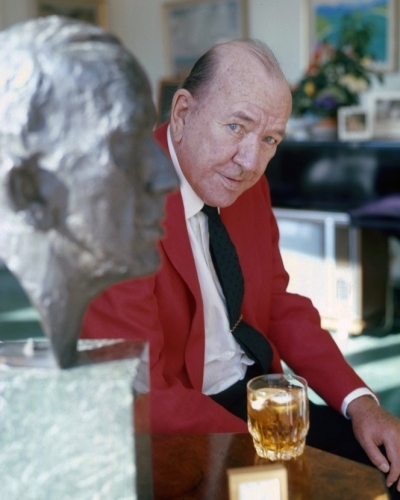 1973 – 16 March, Noël Coward dies peacefully at his home at Firefly, Jamaica. He is buried on Firefly Hill. 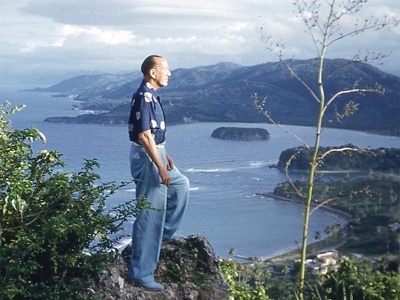 Sir Noël Coward at ‘Look Out’ Firefly, Jamaica circa 1950s. 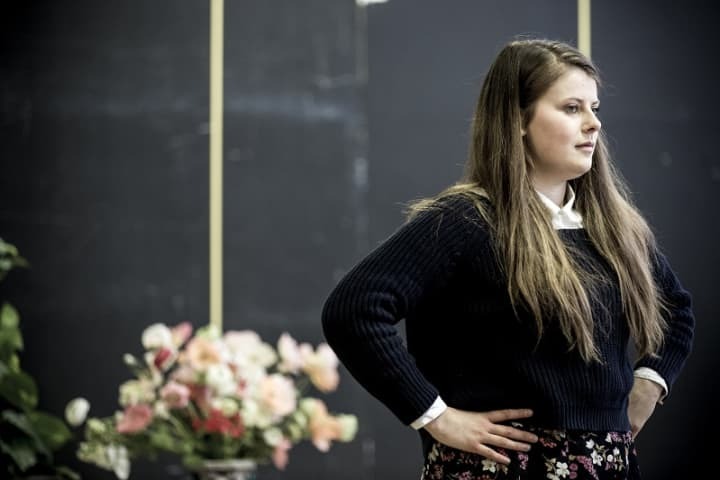 Hay Fever plays at Southbank Theatre from 23 September. Book now.